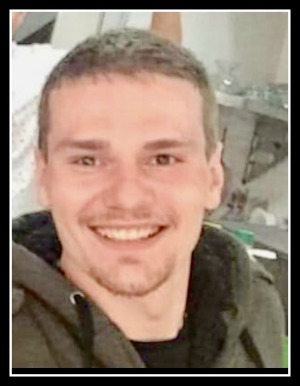 Declan Scott Berg Holstead, 23, of Acworth, GA, departed this life on Sunday, November 18, 2018, in Canton, GA. He was born on May 29, 1995, in Heidelberg, Germany. Declan worked as a carpenter apprentice and loved rescuing animals. He cherished his heritage to the Mammoth Cave National Park and his Nordic origins. He was a global traveler and had an affinity for languages, including German, French, and Spanish. Declan is survived by his parents, Steven Holstead (Andrea) and Rhonda Arterburn Jackson (Donavan); sister, Hayden A. Holstead; emeritus brother, Jean-Claude Mendez; maternal grandmother, Joyce Davis Eckersley; paternal grandmother, Judith Perrault Thompson; paternal grandfather, Odd Franklin Holstead (Hanna) and many aunts, uncles and cousins. He was preceded in death by maternal grandfather, Joseph A. “Pop Pop” Eckersley and aunts, Deborah Lynn Veley and Lisa Ann Holstead. Declan will be greatly missed by those who knew and loved him. Memorial contributions may be made to Good Spring United Baptist Church c/o Nelson Sanders, 831 Ollie Rd. Mammoth Cave, KY 42259. Interment will be in Good Spring Church Cemetery.